Well just as we predicted, the Yakima below the Teanaway is officially unfishable. But there is some good news! Above the Teanaway got a little bit higher, but the water is still staying clear and is fishing very well. The only issue we’ve run in to is that now the only doable float is South to State, so everyone is fishing South to State. If you’re fishing this weekend, expect to see a lot more people than usual, and it doesn’t hurt to get on the water late. 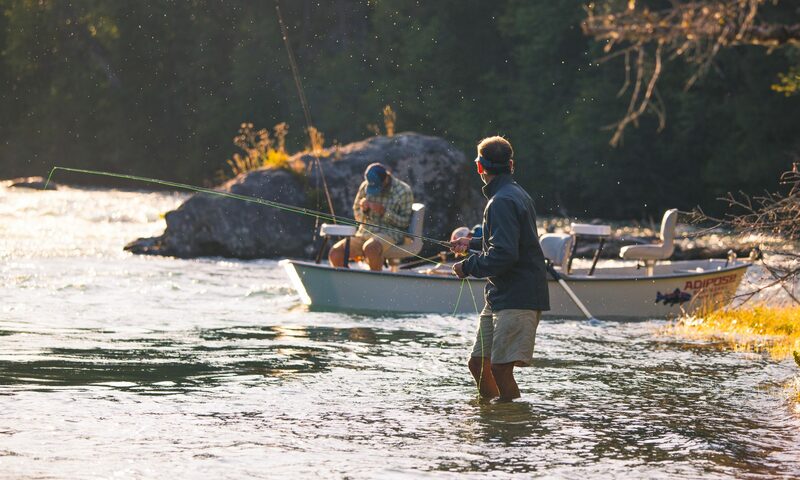 You’ll still catch fish behind the other boats, and will even be able to hit it when the dries are popping off in the late afternoon. If you’re wading, we recommend staying up high such as around bullfrog just to avoid some people, and probably find some big fish up there as well. As far as flies go, we’ve still been throwing a turd and a worm pretty religiously, although we have been finding fish on smaller pheasant tails as well. As far as dries go, there is a lot of skwala action going on, but we’ve also been getting some good BWO action as well. You can still swing some streamers as well, such a black woolly bugger or a small sculpin. For options besides the river, Fio Rito and Mattoon Lake were recently stocked with some bigger trout and aren’t frozen anymore, so you do have those options to mess around with some stocker trout and bass. We’ve found that a little black or olive woolly bugger on a sink tip line is the best way to fish them, and kill some time until the river comes back in to shape. As usual, if you guys any questions feel free to call the shop!